Fear Cannot Save Us. Rage Cannot Help Us. The planet Earth is a speck of dust, remote and alone in the void. There are powers in the universe inscrutable and profound. Fear cannot save us. Rage cannot help us. We must see the stranger in a new light-the light of understanding. And to achieve this, we must begin to understand ourselves, and each other. 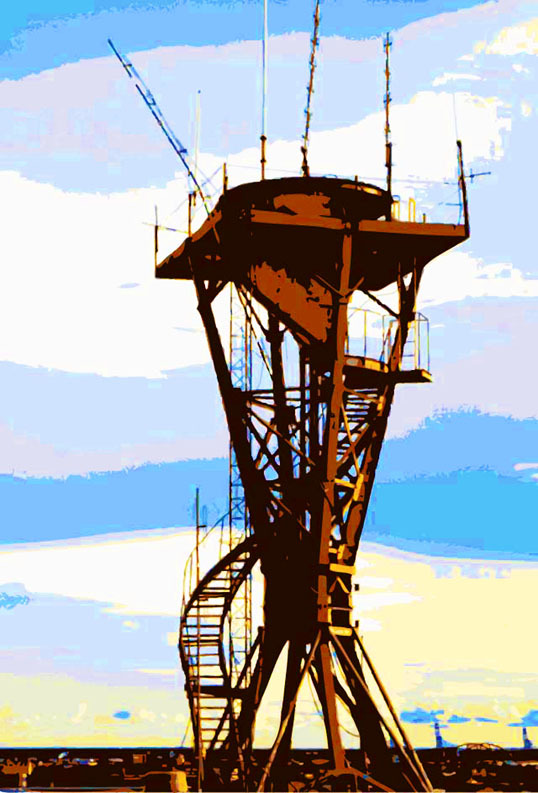 This entry was posted in Photography and tagged Architecture, illustrator, microwave, New Orleans, photoshop, steel, tower. Bookmark the permalink. So, so relevant. I may find a use for the quotation myself. As for the photo — what a perfect fit. Those of us who remember the film “War Of The Worlds” probably never forgot those creatures. Thanks – I stumbled across a rerun of “Outer Limits” the other day – I had forgotten how interesting the stuff the opening and closing voices said was. With the internet it was only a minute before I found a list of them all.